Add a contemporary style to your home by introducing this gorgeous Shalimar Side Table. It has a spectacular design which is inspired by an art-deco style. 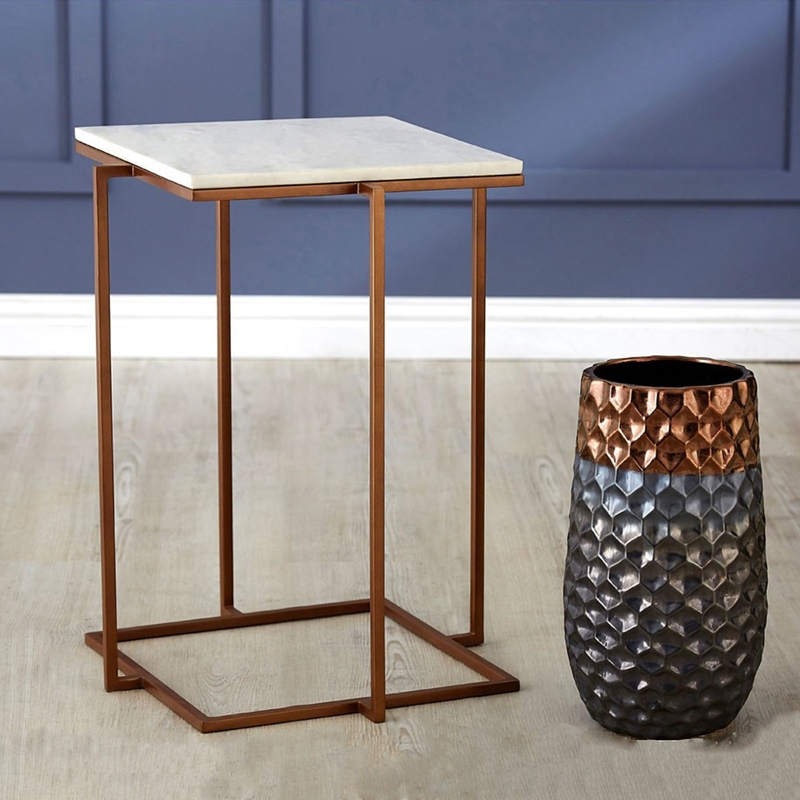 This side table is created out of marble and iron, which combines perfectly with the design making it look especially modern with a touch of homeliness.